Tailored adverts on Facebook are nothing new and this generation is more than happy to sit through adverts before being able to watch free videos on YouTube. Adverts are a part of the web, just as they are with TV and Radio. However, with so many potential consumers spending so much time on social media, certain people have themselves become a sort of brand, a figurehead with a following, an ‘influencer’. 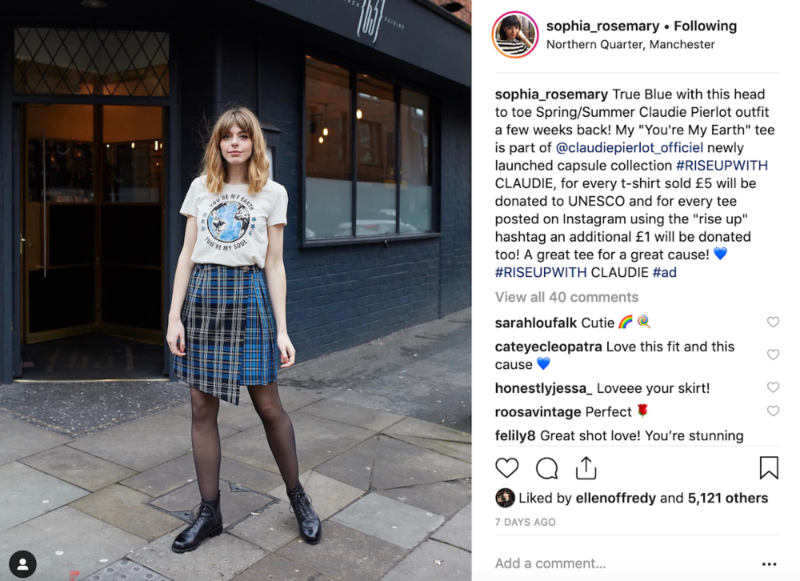 This new-age marketing method, known more commonly as ‘Influencer Marketing’, is different from previous advertising techniques. It provides the content creators with more control over the sort of things they publish but relies heavily upon them to maintain a certain level of trust from an online audience. 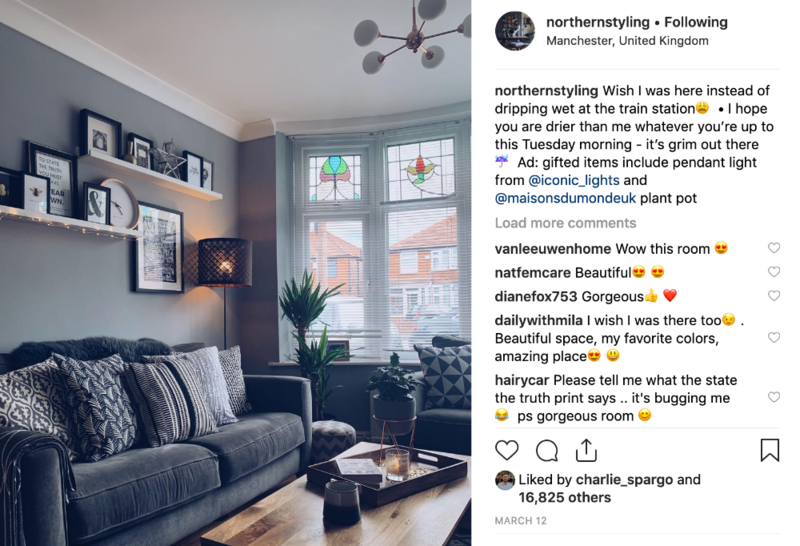 Even the Advertising Standards Authority tightened up the rules for social media advertising so that there’s greater transparency with paid-for content, meaning that paid-for posts need to contain #Ad. 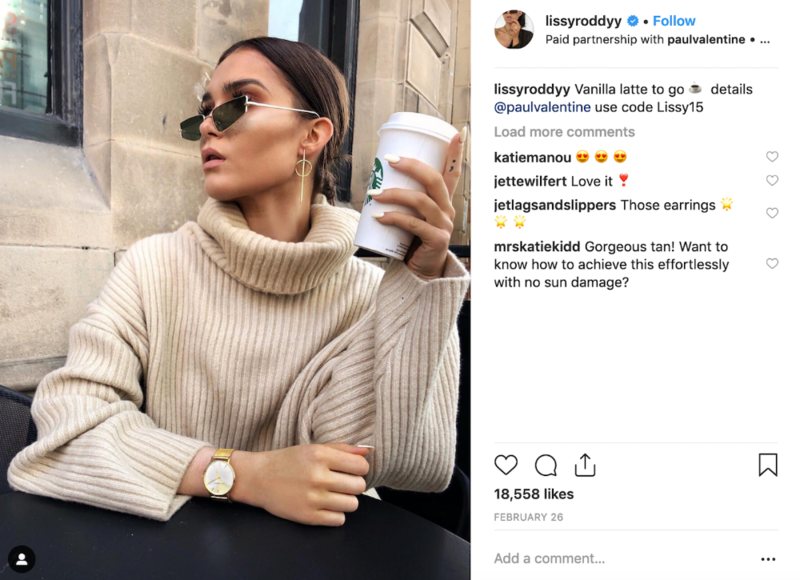 Two things are essential for any influencers, firstly, being interesting enough to build an online audience, and secondly, being engaging and relevant enough to not lost that following. 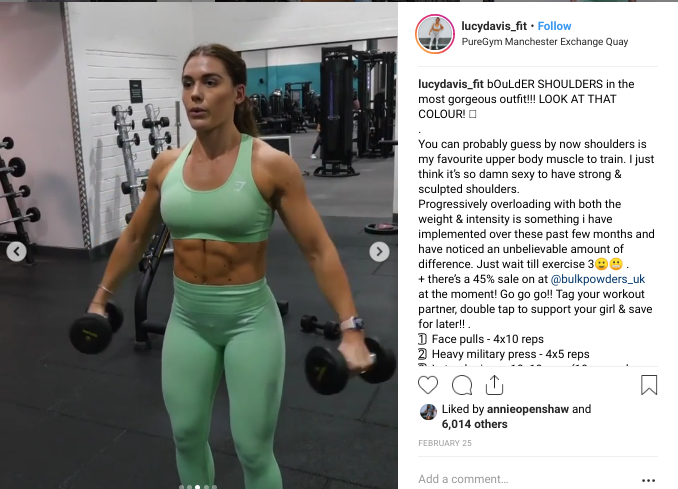 Despite still being a Food Science and Nutrition student in Newcastle, Aylish has already accumulated nearly 250,000 followers on her fitness-focussed Instagram. She competes in CrossFit competitions and is a Women's Best Ambassador, all whilst providing fitness routines and advice over social media. 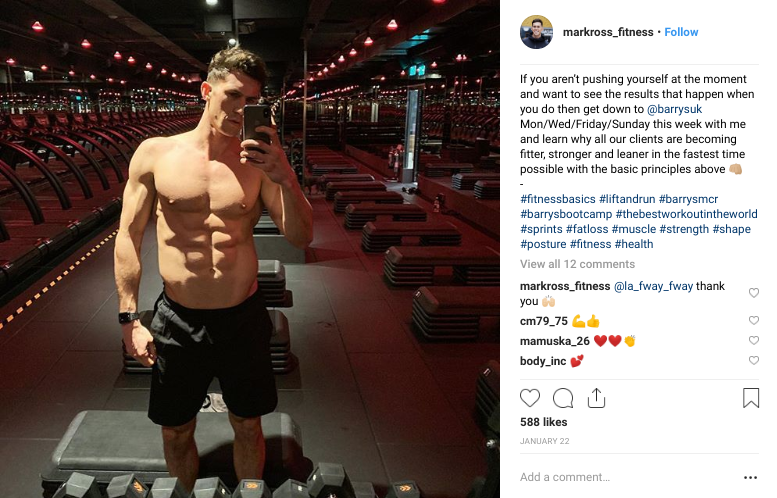 A personal trainer at the infamous Barry's Boot Camp in Manchester, Mark regularly talks about diet plans and discusses why he chooses some workouts over others. He has promoted Mr Porter, following a feature in Issue 404 of The Journal. 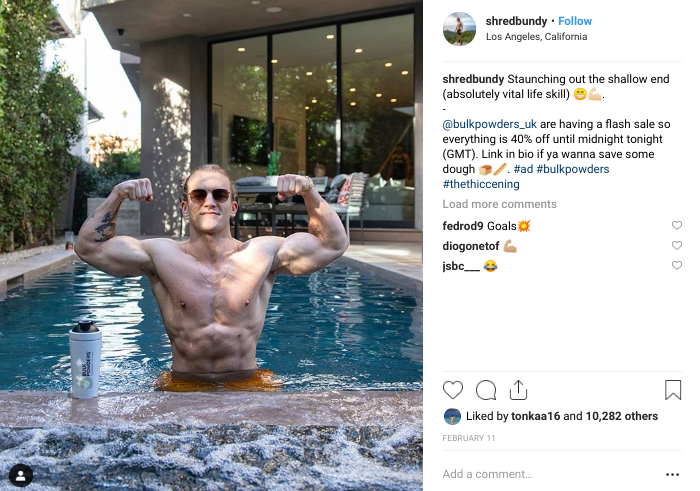 He has a major focus on helping people get into the best shape they can, and has roughly 10,000 followers regularly checking out his posts. 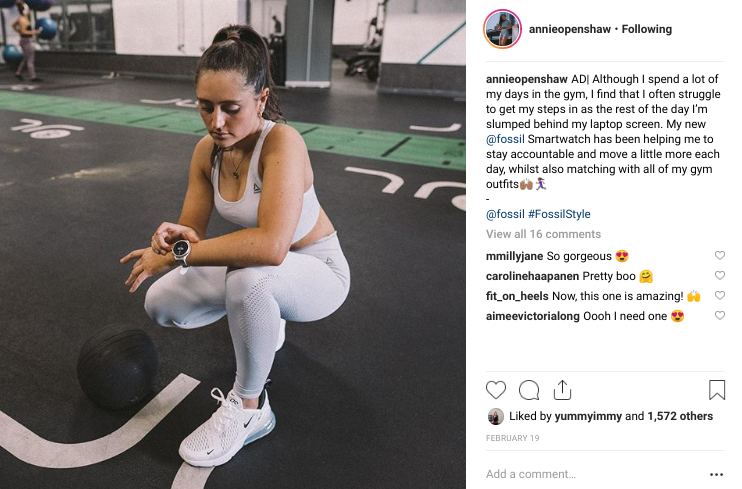 A notorious gym junkie and self-made social media star, Annie has racked up over 70,000 followers and co-founded UniLean, a group that specifically looks to improve student fitness. Previously involved in the Girls That Go campaign with JD and Nike, she's definitely one to keep an eye on. Joe's fitness blogging and YouTube channel have taken him all over the world. If you're easily jealous, this man's life looks like a dream. That doesn't mean he doesn't work hard though! The math graduate provides online personal training, has over 240,000 followers on Instagram and further 90,000 YouTube subscribers. With nearly 42,000 Instagram followers, Dannii Martin shares healthy recipes and meals on Instagram that will make you drool. Self-described as a foodie, wife, mama, and globe trotter, she also runs her own website and has a book full of recipes on Amazon. 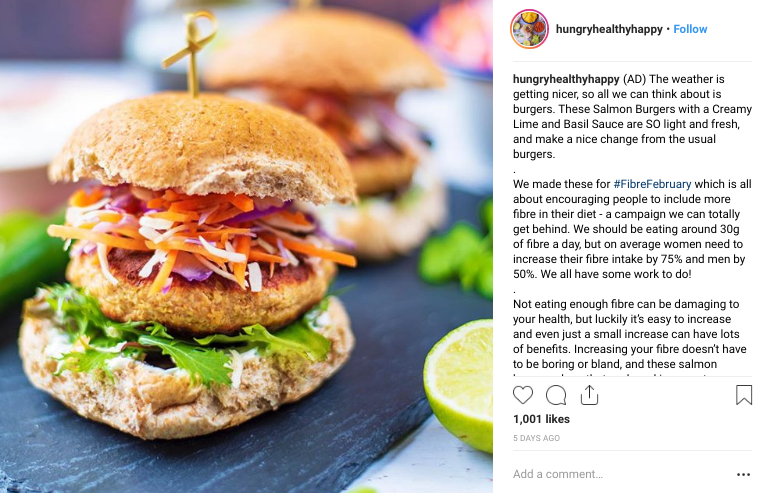 She occasionally uses sponsored posts for brands like Very Lazy, Meatless farm, or kitchenware products like an air fryer. A freelance healthy recipe creator who also works out and creates content for Barebells and has ~13,100 followers. Pamela's Instagram is full of sweet treats - but ones you can enjoy guilt-free or as part of a training programme. Her posts aren't limited to food however, as she also talks about motherhood experiences. 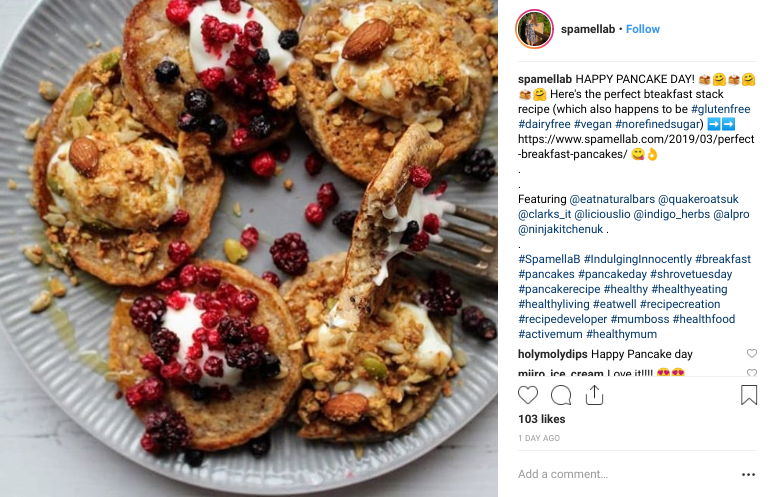 A serial marathon-runner and gluten-free blogger, Imogen grew up in Altrincham and her page, followed by over 11,000 fans, is full of halthy recipes, recommendations and running chat. 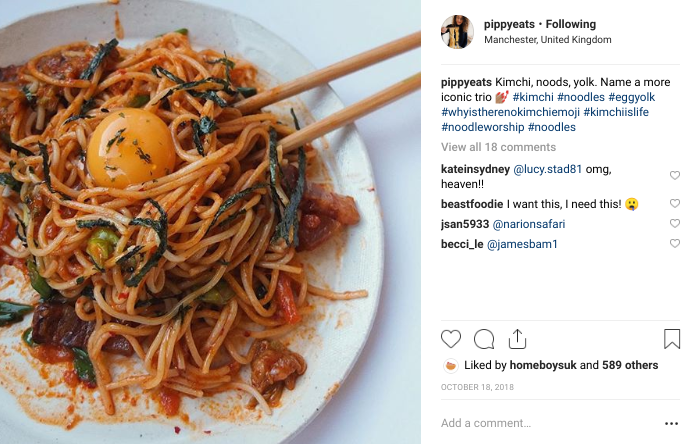 Based in Manchester, Pippy might also be the queen of noodles. She runs workshops teaching others how to make their own noodles and dumplings. Her Instagram (over 10,400 followers) contains plenty of aesthetically-pleasing shots of her food, both before and after cooking. Megan is nothing short of a walking wardrobe and her website is a lookbook for all the pieces she puts together. She provides useful tips on how to wear different pieces on her YouTube channel (93,000 subscribers) as well as showing off some special pieces she's found hiding around Manchester. It's no surprise that she's amassed 119,000 followers on Instagram. Sophia started her blog as an extension of her Instagram account. 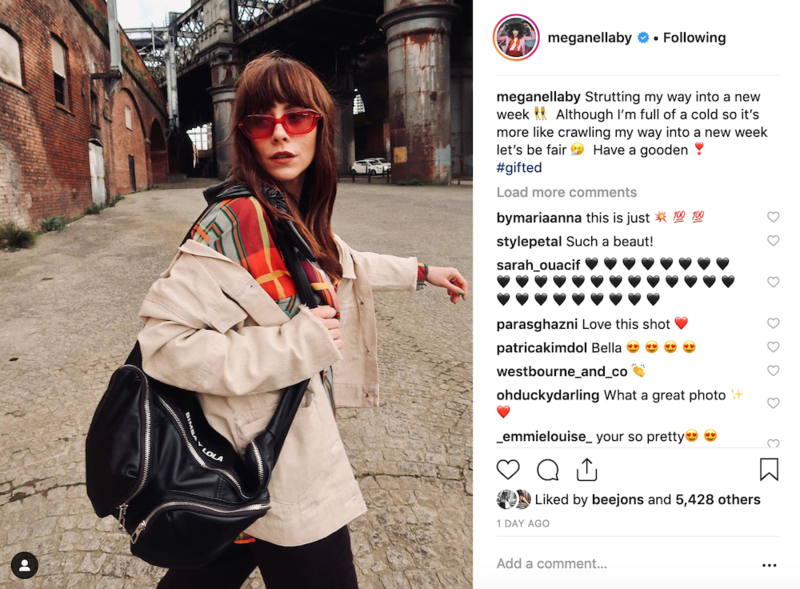 After being dissatisfied in her job at the time, she turned to social media to fill the creative void in her life just as Instagram was taking off. Living in Stockport and relaxing in the Northern Quarter, Sophia's partner in crime is Blossom's Joe Donovan. She has 188,000 Instagram followers and regularly updates her blog with fashion and lifestyle content. With an unbelievable 628,000 Instagram followers, Alicia is a social media powerhouse. Managing to put together catwalk-worthy outfits and partnering up with the likes of Pretty Little Thing, Paul Valentine and Missyempire, she has gathered a serious following with hundreds of posts accruing over 20,000 likes. She directs fans to relevant websites to buy the clothes she wears on her website. 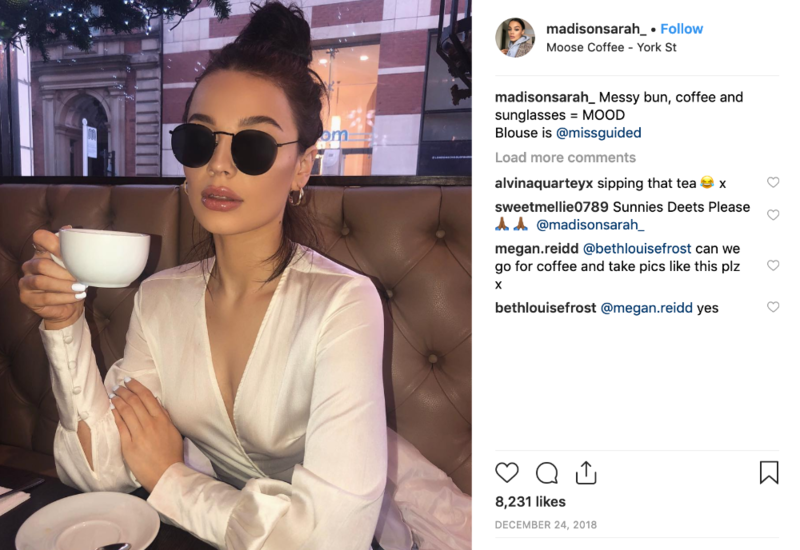 Represented by The CREATOR Group, Madison is only 21 but already has more than 83,000 followers on Instagram. She also started out vlogging and has over 145,000 subscribers on her YouTube channel. She posts about her life and shows off outfits and highly-sought after garments. Jo is a proud Mancunian and the mind behind Northern Styling. She's obsessed with all things interiors, espresso martinis and her cat 'Bojangles'. She works as an Interior Stylist with a degree in Interior Design and is currently styling one room at a time in her first home. 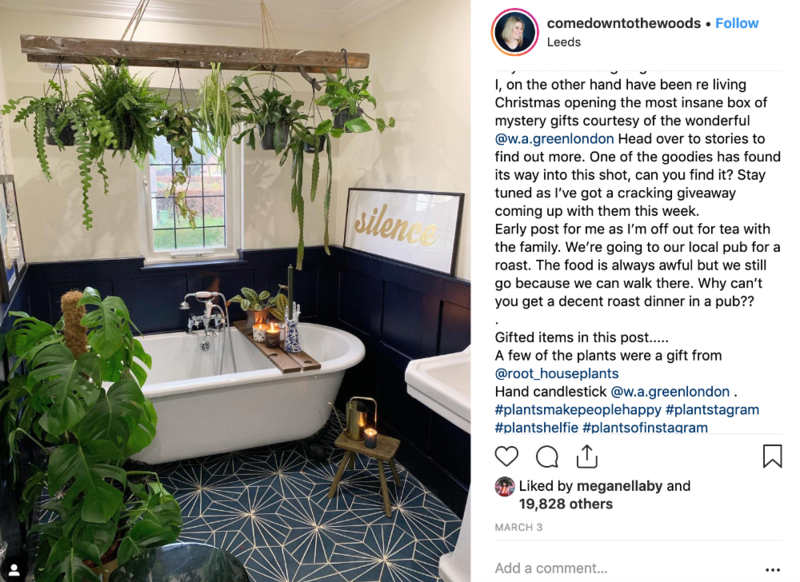 She has over 50,000 Instagram followers and her sponsored posts feature ads or gifts of wall art, skincare products, furniture pieces or other things you're likely to find in a home.